Jordan Henderson and Naby Keita are set to miss Liverpool’s trip to Arsenal on Saturday as they continue their recovery from injury, but there are no fitness concerns relating to Mohamed Salah. The midfield duo are closing in on returns to full training at Melwood after both picked up respective hamstring issues recently; however, the clash at Emirates Stadium will come too soon for them. Meanwhile, Salah was this week pictured wearing protective support on his right wrist, but is not in doubt for the encounter with the Gunners. 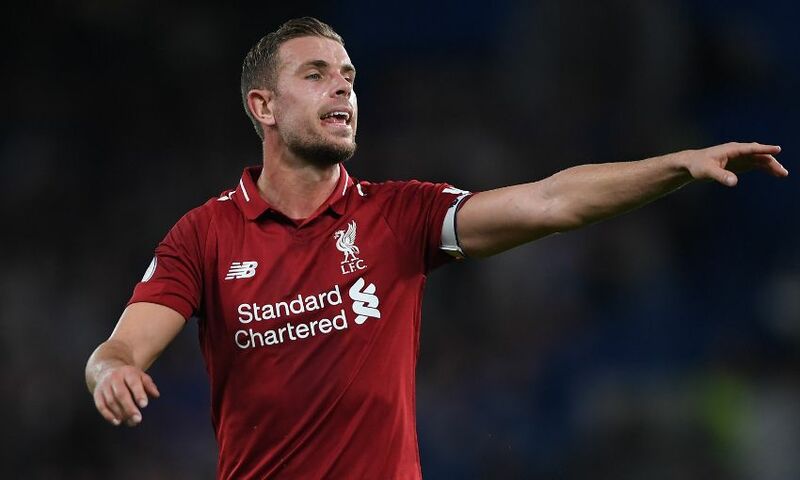 Jürgen Klopp told his pre-match press conference: “Hendo feels really good but it will be probably the start of the week when he will be back in training. “Naby [will be the] end of this week. It doesn’t make a big difference match-wise, but that’s how it looks. Henderson and Keita are also doubtful for Liverpool’s Champions League tie with Red Star Belgrade in Serbia on Tuesday night, but Klopp insists they remain on course to return within the originally expected timeframe. “In football, a not too serious injury takes still two, three or four weeks,” said the boss. “You are lucky if you only have an injury like that, but that only means in the Premier League [you will miss] 20 games!